It continues to be VERY busy at work these days. I responded to 7 legitimate working fires for the month of May. And three of those have been two alarm fires. It’s been a really crazy run! Yesterday, during an after action review on two of our fires, we visited the importance of the assignment to RIC: Rapid Intervention Crew. Some parts of the country call it FAST (Firefighter Assist and Search Team), and others call it RIT (Rapid Intervention Team). No matter what acronym is used, these teams exist for one simple reason: to be “lifeguards” for firefighters in the IDLH. Yesterday however, I was thrilled to see that one of our crews snap into action after receiving a RIC assignment. Very quickly, a hose line was deployed, tools were assembled, a size-up was performed, and the most important part, crew accountability intelligence was gathered. Accountability is critical! How can crews rescue other crews in trouble if they don’t know: WHO’s at scene, WHAT their assignment is, WHERE they are operating, and WHEN they arrived and were assigned? We are required to track accountability for legal reasons. Practically we need accountability data to file our reports. Most importantly: we should be tracking accountability for real-time fireground safety. How we gather this info is critical! In our agency, the Safety and Accountability Officer is usually keeping track of crew assignments and accountability on Tablet Command. When a RIC is assigned, the officer in charge can interface with the Accountability Officer (usually found next to the Incident Commander) to gather that intel in real time. 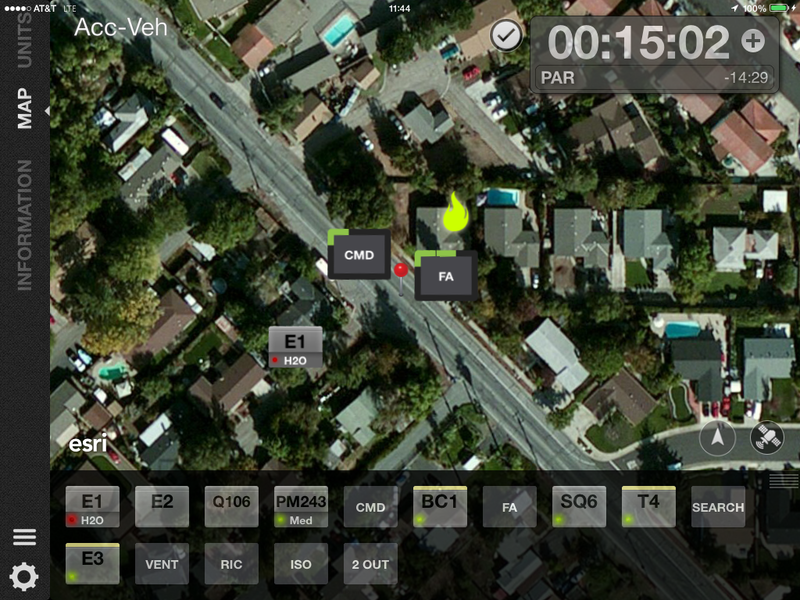 Tablet Command save steps and improves personnel accountability on the fire ground for the safety of our people.